If you’ve attended any birthday parties for McKinley Elementary students in recent months, there’s a good chance you’re familiar with the work of 9-year-old Noah Bresnik, the third-grader who’s revolutionizing how people sing the “Happy Birthday” song by loudly shouting “CHA-CHA-CHA!” between every pause in the singing. It’s a refreshing new take on a timeworn classic, transforming a song we’ve all heard hundreds of times into something exciting and provocative. Noah is by no means a stranger to such avant-garde maneuvers—in second grade, he would often replace the concluding lyrics to “Happy Birthday” with “You look like a monkey / And you smell like one too.” Earlier this year, Noah also became known for saying “Yo” instead of “Here” during roll call. Still, only now has the 9-year-old started truly garnering the respect and admiration of his peers as an innovator. And any recognition he’s receiving is well-deserved, because after hearing his latest twist on the “Happy Birthday” song, you’ll realize just how boring the old rendition had become. 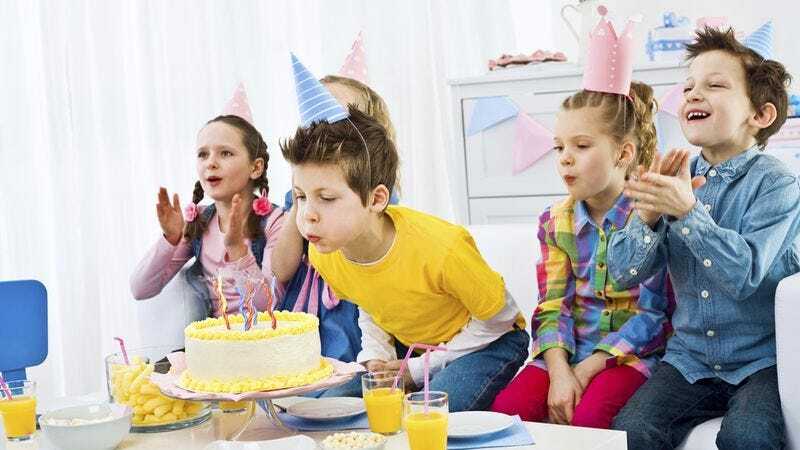 Having done it at four different birthday parties now, Noah has more or less cemented the cha-cha-chas as his trademark. Yet rumors have been circulating among classmates that Noah might’ve stolen the innovative idea from his big brother, Matthew. Whatever the case, we simply can’t get enough of Noah’s cha-cha-chas. They’re so fun! He truly is the life of the party.